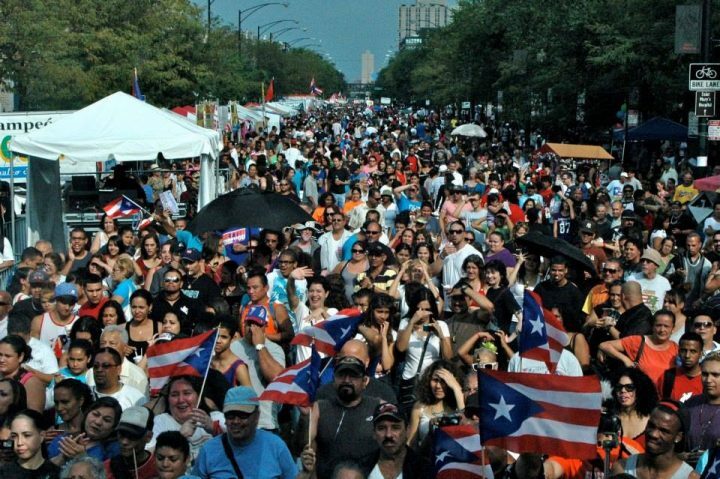 Alderman Roberto Maldonado, the Division Street Business Development Association, the Puerto Rican Cultural Center, and State Representative Cynthia Soto invite all Puerto Ricans, Latinos and residents of Chicago to join the 23rd edition of Fiesta Boricua, a family-friendly and fun-filled three-day event. 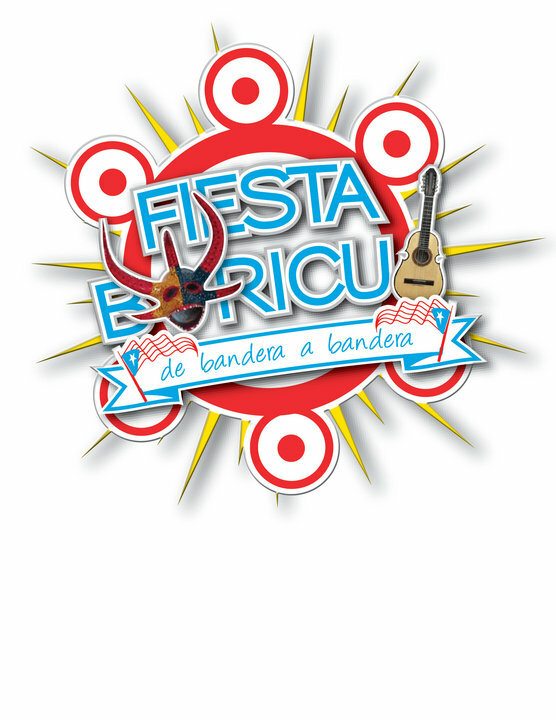 Fiesta Boricua will provide a complete and authentic immersion in the culture of Puerto Rico, including music, dance, artisanry, and food along the vibrant commercial and cultural corridor on Division Street, known as Paseo Boricua, framed by the largest flags of steel in the world, a monument to the national emblem of Puerto Rico. Along Division Street (between Western and Rockwell), 12 schools in the community will participate in the first Back-to-School Carnival. The carnival will have a corridor with information on education, health and housing, as well as arts and crafts, games, rides, activities with Ciclo Urbano, and free school supplies giveaways and back to school vaccination. The Main Stage, will feature a variety of Puerto Rican musical genres, with stellar performances from renowned musicians, such as the masters of Salsa Hector “Pichi” Pérez and Herman Olivera, the amazing voice of Chabela Rodríguez, and the Bomba y Plena of the Ballet Folklórico Guajana and Bomba with Buya, among others. Stage 2, sponsored by La Municipal, will be dedicated to the youth. Participants will be able to attend Bomba, Plena and Salsa workshops. La Municipal will also be offering an area with a beer garden. Papa’s Caché Restaurant will sponsor Stage 3 where, aside from music, Chicago’s own Luis “K.O.” Mateo’s career in boxing will be recognized. There will be autograph and photo sessions with Luis “K.O.” and other Puerto Rican boxers. During these three days of the festival, the renowned Puerto Rican artist Richard Santiago, professor at the School of Plastic Arts of Puerto Rico, will create a mural in honor of the Puerto Rican victims of the Orlando Massacre. Dinner reception: Night Jíbara / Guayabera Gala on Friday 2 September at 6pm, at the National Museum of Art and Puerto Rican Culture at 3015 W. Division St., where the best of Puerto Rican food will be served, including food from “Khalil El Caldero”, directly from Puerto Rico, and a special musical presentation from Grupo Guajana; Misa Jíbara: a folkloric Catholic Mass inspired by traditional Puerto Rican Mass, serves as an invocation for Fiesta Boricua. Misa Jíbara is not only an expression of the spirituality of Puerto Rico, but a dynamic, creative and cultural syncretism in which elements from traditional Puerto Rican music are used. It will take place on the Main Stage on Saturday, September 3 at 3pm. A session on how to create a mural with renowned Puerto Rican artist Richard Santiago, professor of art at the School of Plastic Arts of Puerto Rico, to be devoted to the Puerto Rican victims of the Orlando Massacre. 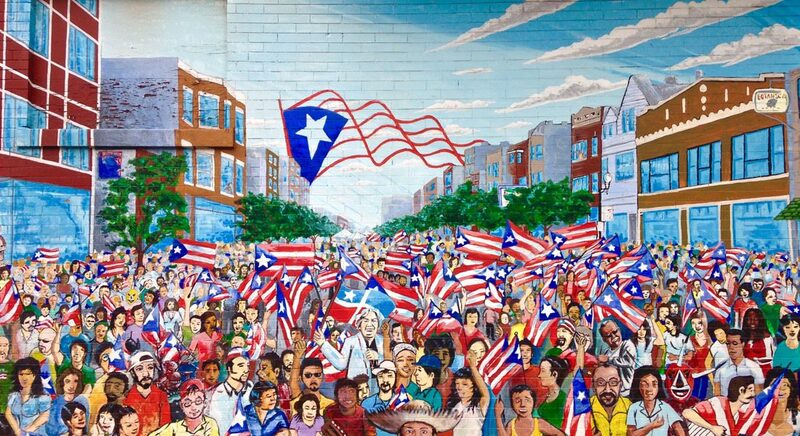 A delegation of more than 30 people will participate in the 23rd Fiesta Boricua to represent the theme of “The Best of Our Barrios” Holyoke and Springfield, MA, and more than half a dozen elected officials from Puerto Rico. From Puerto Rico, particularly the towns of Caguas and Comerío, more than 50 musicians and artisans will participate in the 23rd Fiesta Boricua. Banner image: “Sea of Flags,” a mural in Humboldt Park by Gamaliel Ramirez.